The shortest month of the year, February is still a busy time. At Only By Prayer, we think this world could use more love and prayers, and this month gives us the perfect excuse to start showing it! Whether you have a sweetheart or not, Valentine’s Day can be a bright spot in the winter and an inspiration for our prayers. 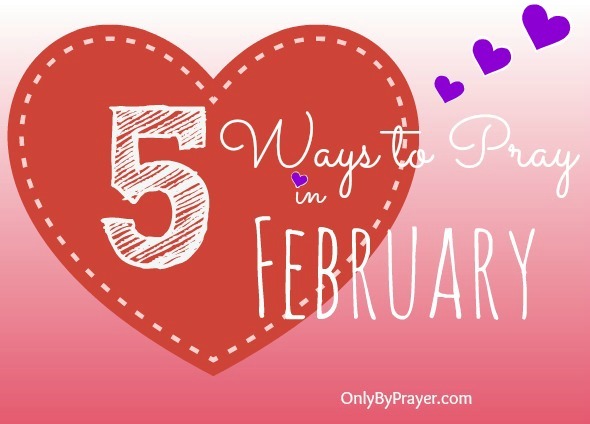 Keep reading for five ways to focus your prayers over the next few weeks. 1. National Shut-In Visitation Day, February 11 — Every community, church, or neighborhood has shut-ins: people who aren’t able to leave their homes due to physical limitations, illness, psychological problems, age, or other issues. Regrettably, I never thought much about this until I experienced it in my own family. My mom has Alzheimer’s and has mobility issues, so during the winter months my parents are quite often housebound. I also have a friend who is ill with a chronic disease, unable to leave her condo on her own. Seeing the world through their eyes makes me realize how difficult it can be to lose the ability to come and go as you please. This month, let’s make the effort to visit someone who is a shut-in. If possible, assist the person with a trip away from her home, even if it’s just to a grocery store or a park. A change of scenery always perks each one of us up, so imagine how much good it will do for someone who hasn’t been out of the house in weeks or months. Prayer: Lord, we pray for those whose lives have been interrupted by circumstances beyond their control. We ask for their peace and comfort. We pray for healing. We ask that you would restore hope where it has been snuffed out. We pray that shut-ins would not be forgotten and invisible but would continue to live vital, vibrant lives where they can contribute in a way that fuels their passion and honors you. 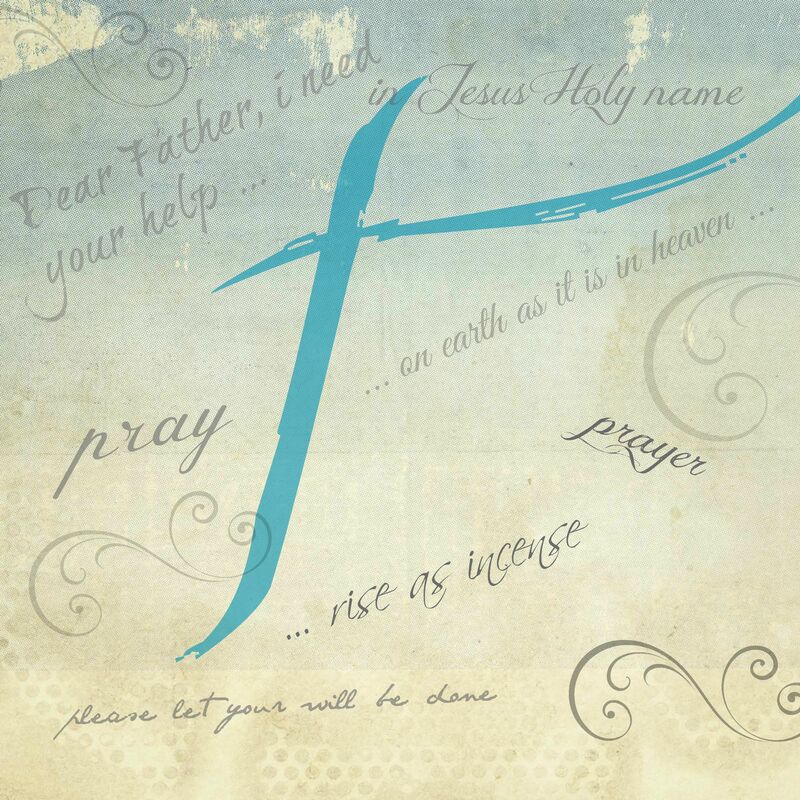 We ask that you would help others to reach out to them, offering friendship and fellowship. Make us sensitive to your Holy Spirit’s leading. In Jesus’ name, amen. 2. Valentine’s Day, February 14 — This day has its roots in both Christian and Roman culture. History notes a Roman priest by the name of Valentine who was martyred for marrying young couples, going against an edict of Emperor Claudius. Claudius thought young men would make better soldiers for his military if they were single. Legend also says this day is tied to a Roman fertility festival called Lupercalia. Wherever the truth lies, today we celebrate this holiday by showing love to our sweethearts and other family and friends. With evil being so visible in our world right now, let’s focus on being loving to those in our lives, and most importantly, being an example of the selfless love Jesus demonstrated for each one of us. Prayer: Lord, thank you for your great love for us that is an example of how we are to love each other. Help us to shower that love on those around us. May we see our families and friends with a fresh set of eyes, not taking them for granted, but celebrating their lives. Help us to overcome any reticence, enabling us to show and tell them of our love. In Jesus’ name, amen. Friends, let us pray for ourselves and each other as we prepare for the celebration of Easter Sunday during this time of Lent. Over the next six weeks, try at least one of the spiritual disciplines mentioned in the above list. Take the time to do a spiritual evaluation. Confess what needs to be confessed; release what needs to go; welcome what needs to be received; pray what needs to be birthed. And wait for God to work. Prayer: Lord, tune our hearts to your Spirit. May we unclog our airwaves of earthly noise and distractions so that we can receive what you have for us. Make us alert to what you want us to learn, confess, and live. Give us humble, contrite spirits. Amen. 4. President’s Day, February 16 — President’s Day was originally set aside to recognize our first president, George Washington, but is designated to honor all presidents. No matter whether you agree with President Obama’s policies or not, I think we can all agree on how important it is for us to pray for him. 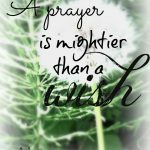 He is facing many challenging situations in our own country and abroad that would benefit from concentrated prayer. Prayer: Lord, we pray for President Obama. We pray that he will humble himself before you and seek your wisdom as he leads our country. May he unite Congress and our country; may he be wise in his dealings with foreign nations; establish his priorities. We ask a hedge of protection around him, first lady Michelle, and his daughters Malia and Sasha. Amen. 5. Hostages — Unfortunately, too many times over the last few months the headlines have been filled with stories of hostages who have been murdered by extremists. Let’s fervently pray for those who have been kidnapped by extremists around the world and lift up the families of those hostages who have already been murdered. We can also pray for Christians in foreign countries who are also being tortured and murdered for their beliefs. Thank you for joining Only By Prayer in praying this month. Please add any prayers or comments below.